29 Oct How To: Get That Fresh-Faced Look! So here’s the secret to achieving a fresh-faced youthful glow: choose a hydrating foundation. The tricky part for many people is working out which shade matches your tone exactly. Look at your chest and that’s your guide – your foundation should match the skin tone on your decolletage, which is often slightly darker than your face (thanks to the powerful Aussie sun). Once you’ve got your preferred level of coverage, go easy on the powder – less is definately more if you want to retain a fresh-faced glow. Add a dab of cream blush on cheeks and some highlighter high on the cheekbone and you’ll suddenly be sporting a youthful kind of radiance. 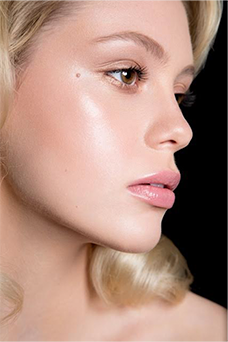 If you don’t have a highlighter you can use a clear or peach-toned gloss on the cheekbones instead. Jay Jay’s pro tip: Don’t use mineral makeup – it’s very drying on most people. Finally, cream blush and highlighting cream give a youthful appearance.